The Justice League is headed for Madame Tussauds Orlando this May, and they need your help to save the world! Take to the streets of Gotham City and Metropolis for an all-new experience featuring your favorite DC Super Heroes and help them save the world. Try on Wonder Woman’s wrist gauntlets, help Superman lift a real helicopter, and summon Batman into battle with the Bat-Signal! Guests will be able to see Gal Gadot as Wonder Woman, Ben Affleck as Batman and Henry Cavill as they fight to save the world from Lex Luthor’s evil corporation, LexCorp. Developed in collaboration with Warner Bros. Consumer Products on behalf of DC Entertainment, this experience combines an all-star cast with authentic replica props and costumes that bring the characters to life. 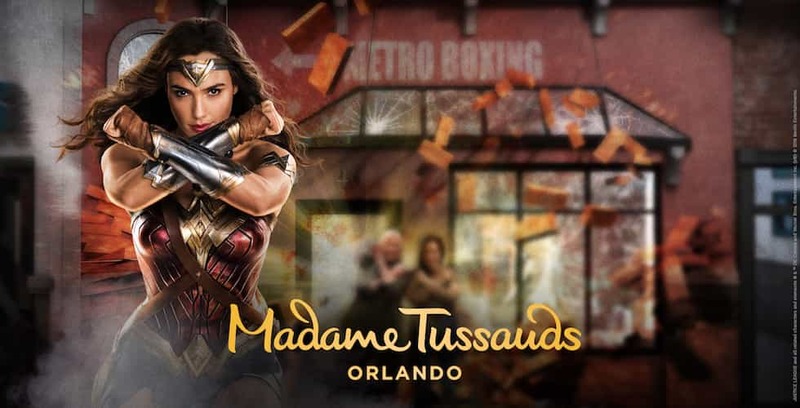 A challenge has also been issued by Madame Tussauds Orlando for the bravest Justice League fans to find five Mother Boxes scattered across the globe. Mother Boxes are unique artifacts with immense powers, and all five must be found and brought to Madame Tussauds Orlando in order to help destroy the energy-extracting forces that threaten our planet. The challengers who find the Mother Boxes will be rewarded with a once-in-a-lifetime VIP experience that includes a five-day, four-night trip to Orlando for the winner and one guest, along with two tickets to the new Justice League: A Call for Heroes exhibit. Winners will also receive two tickets to MegaCon Orlando, as well as Sea Life Aquarium Orlando. To find the Mother Boxes, follow @tussaudsorlando and the hashtag #FindTheMotherBoxes on Instagram. Reveal your inner Super Hero this summer when Justice League: A Call for Heroes opens on May 25 at Madame Tussads Orlando. For more information on the new exhibit, visit MadameTussauds.com/Orlando.